To qualify for Budget Billing you must have 12 months of service at the same location, and a satisfactory credit history with BTU. 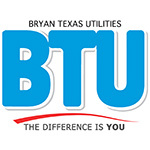 BTU will average your monthly bills for the last 12 months and establish a fixed payment amount for the next 12 months. Payments will be deducted automatically from your checking or savings account through the BTU Bank Draft Program. If a bank draft is returned unpaid from the bank to BTU, the customer will be removed from Budget Billing. 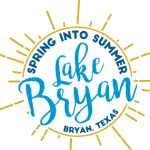 No late fees or service disconnections can occur while you are on this plan. After 12 months, the difference between your Budget Billing amount paid and your actual consumption charges are either due to be paid or credited to your BTU account. Your Budget Billing amount will then be recalculated for the next 12 months. If at any time your actual consumption charges are more than $200 over your Budget Billing payment rate, you will be notified by mail so an adjustment can be made to your payment amount. This will decrease your amount due at the end of the 12 months. You may request to be removed from Budget Billing at any time.